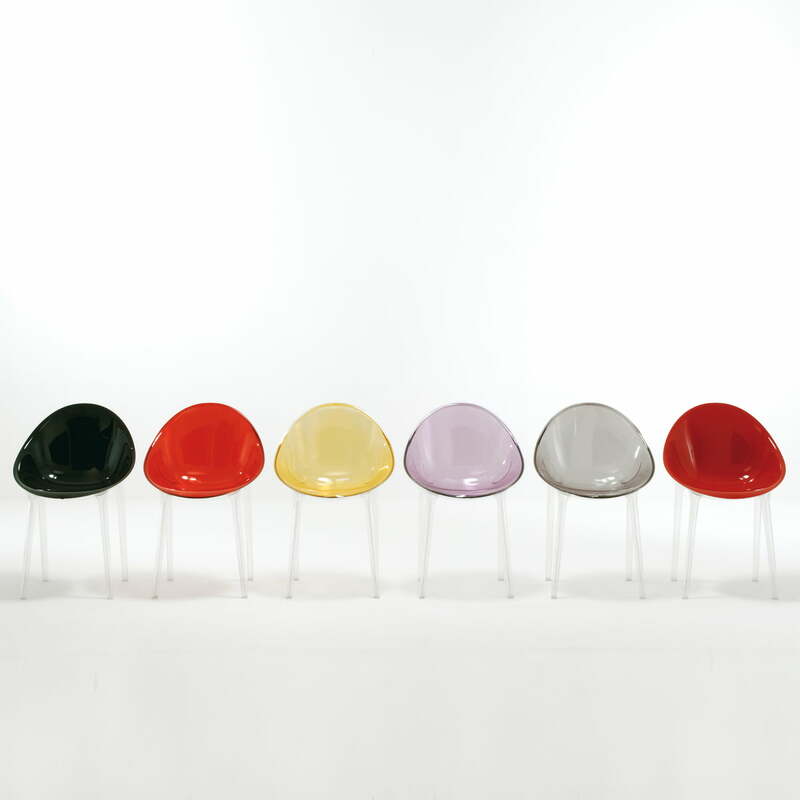 The name of the shell armchair Mr. Impossible from Kartell and Philippe Starck is programme. 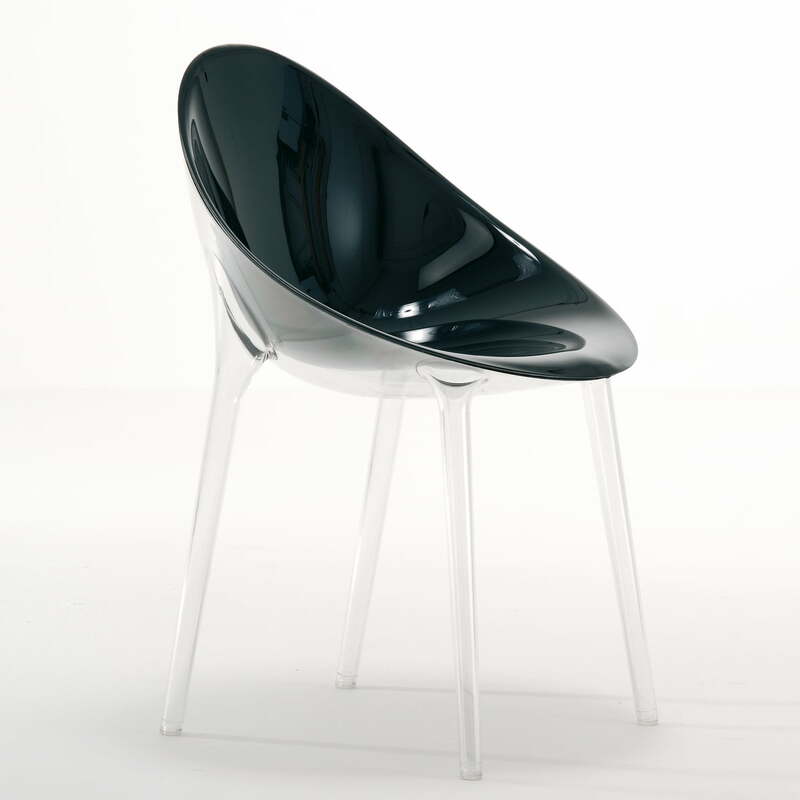 The refined design is realized with the aid of the most advanced technology regarding the adhesive products industry. That is how Mr. Impossible reaches the apparently impossible and connects two half-shells without glue. Initially, the connecting procedure of two oval half-shells completely without adhesive products seemed impossible to reach when it came to the development of Mr. Impossible. 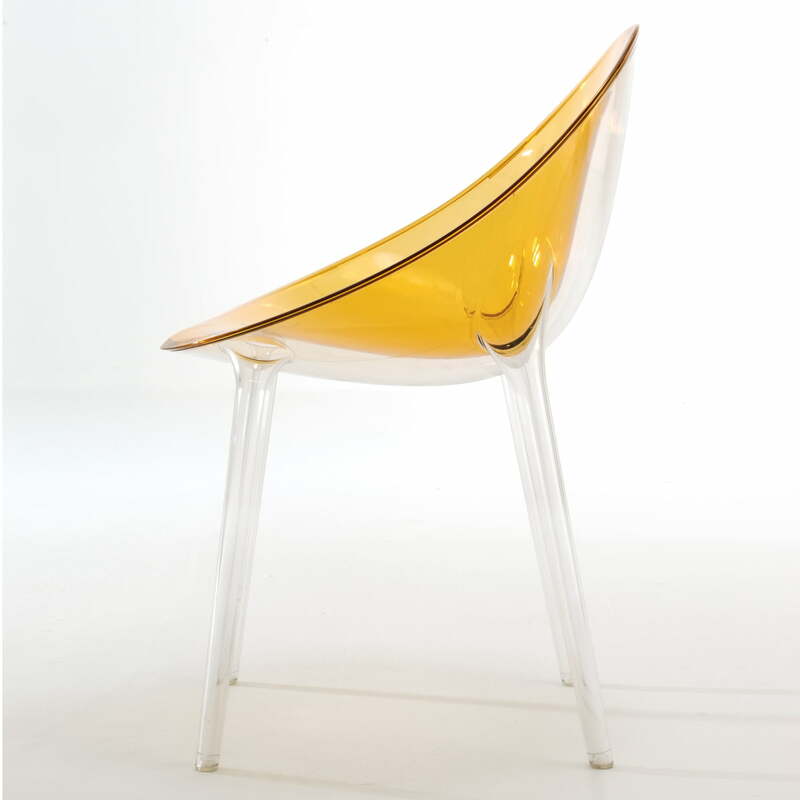 But Philippe Starck and Kartell held their idea and did soon realize it with the most modern adhesion technology. Both shells from Mr. Impossible ate welded with a laser. This construction is extremely robust and does additionally achieve a surprisingly aesthetic effect that enables a completely new material-perception. The connection of two elements with a laser allows the realization of the two-coloured design from Mr. Impossible. 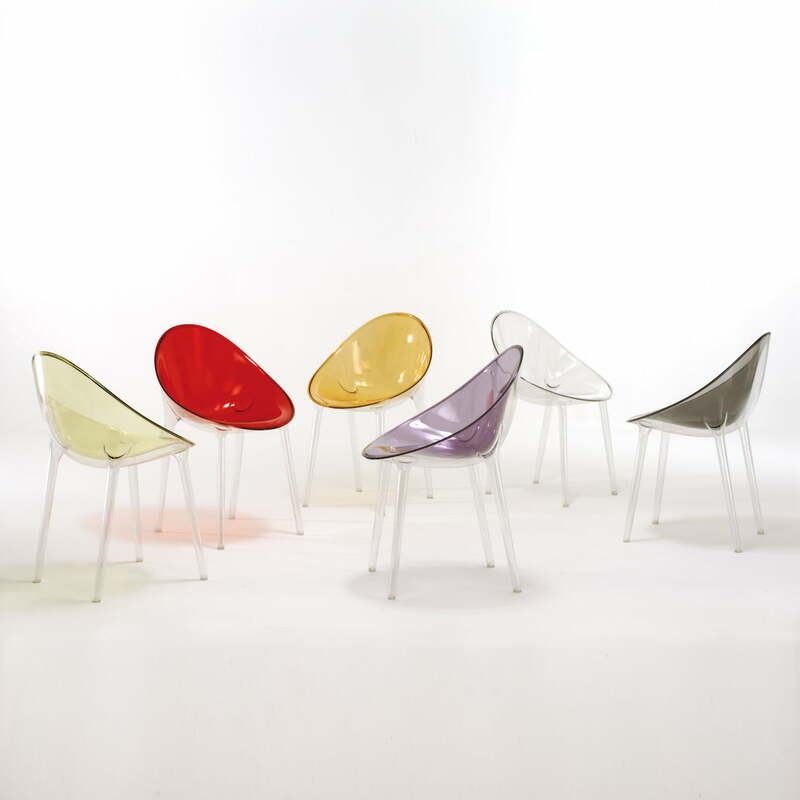 The combination of the transparent frame with a coloured seat shell makes the chair act three-dimensional. 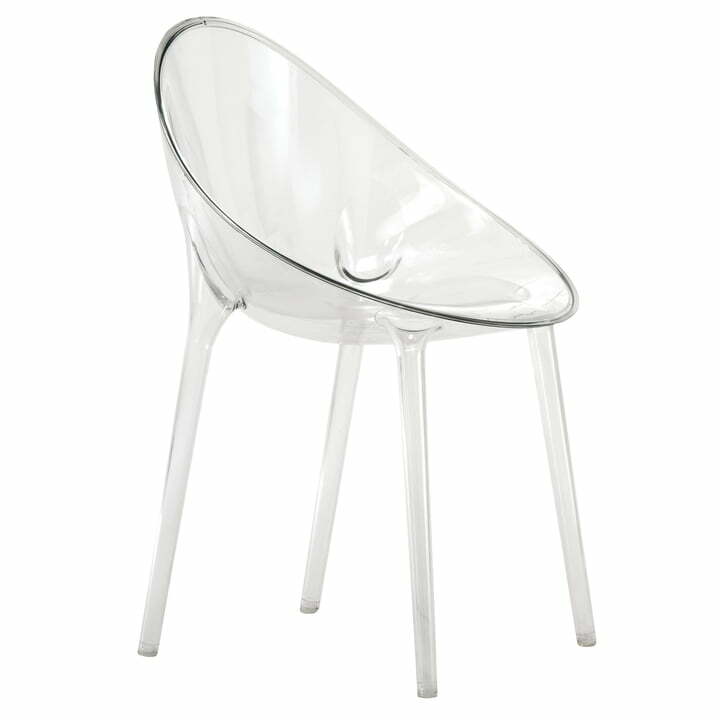 The translucent legs with their hollow, round shaft carry the seat that seems to float on air and is available in many different colours. 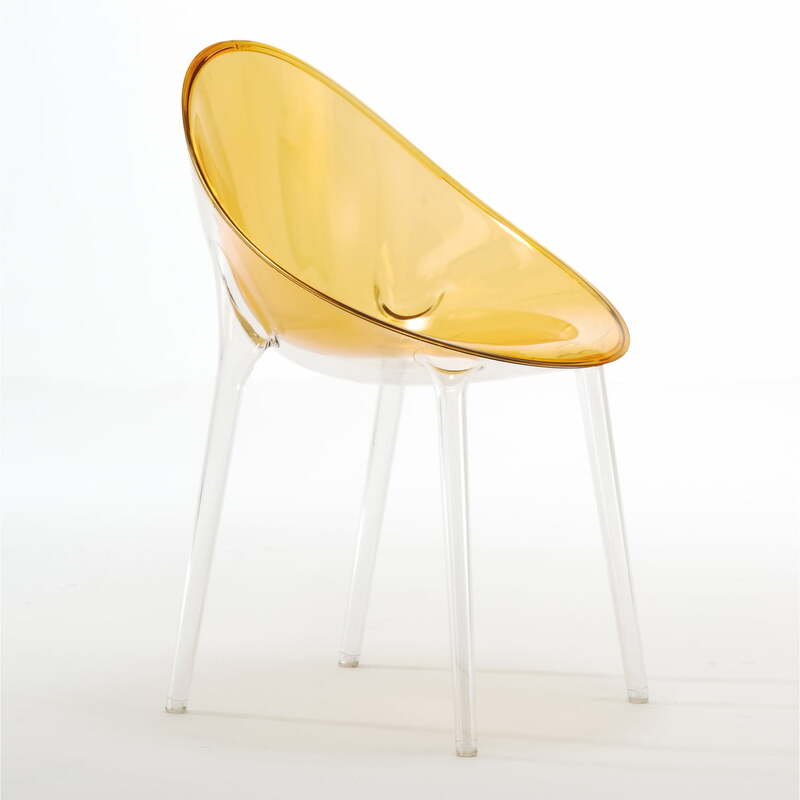 The Italian company Kartell manufactures Mr. Impossible out of polycarbonate. 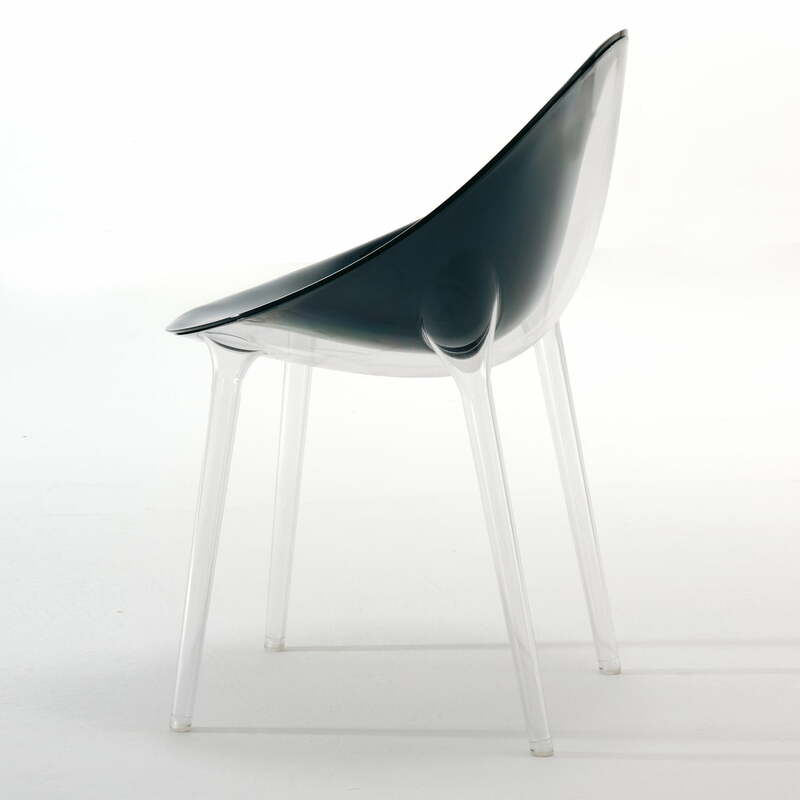 With this high quality plastic, the chair is shock resistant and weatherproof and adapted to indoor and outdoor use.